The Banking Companies(Acquisition and Transfer of Undertakings)Acts of 1970 and 1980 provide that the Central Government, in consultation with the Reserve Bank of India (RBI), may make a scheme, inter alia, for the amalgamation of any nationalised bank with any other nationalised bank or any other banking institution Various committees, including Narasimhan Committee (1998) constituted by RBI, Leeladhar Committee(2008) chaired by RBI Deputy Governor, and Nayak Committe (2014) constituted by RBI, have recommended consolidation of Public Sector Banks (PSBs) given underlying benefits/synergies. Taking note of this and potential benefits of consolidation for banks as well as public at large through enhanced access to banking services, Government, with a view to facilitate consolidation among public sector banks to create strong and competitive banks, serving as catalysts for growth, with improve risk profile of the bank, approved an approval framework for proposals to amalgamate PSBs through an Alternative Mechanism (AM). AM, after consulting RBI, in its meeting held on 17.9.2018, approved that Bank of Baroda, Vijaya Bank and Dena Bank may consider amalgamation of the three banks. 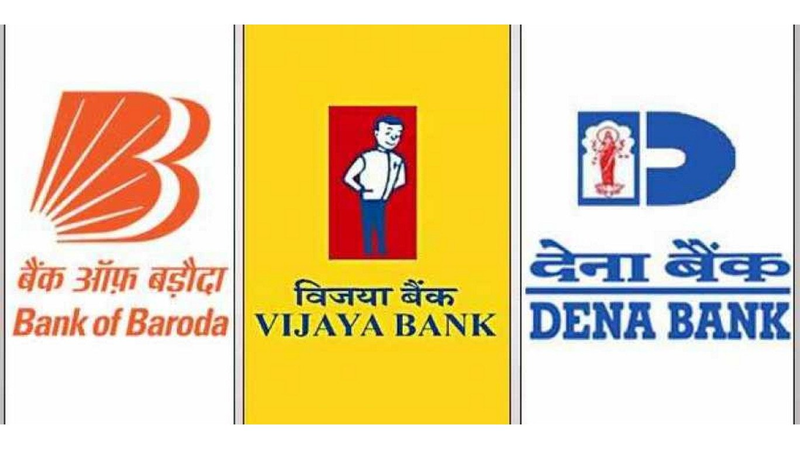 Banks have since considered amalgamation and the Board of Dena Bank has recommended the same, while Boards of Bank of Baroda and Vijaya Bank have given in-principle approval therefor. RBI has furnished bank-wise total income of PSBs and private sector banks in the financial year FY 2017-18 in this regard, which is given in Annexure. Recognising NPAs transparently: Forbearance has been ended and stressed assets classified as NPAs under the Asset Quality Review (AQR) in 2015 and subsequent recognition by banks. Further, restructuring schemes that permitted such forbearance have been discontinued in February 2018. As a result, as per RBI data, Standard Restructured Assets (SRAs) of Scheduled Commercial Banks (SCBs) have declined from the peak of 6.5% in March 2015 to0.49% in September 2018. Resolving and recovering value from stressed accounts through clean and effective laws and processes: A fundamental change has been effected in the creditor-debtor relationship through the Insolvency and Bankruptcy Code, 2016 (IBC) and debarment of wilful defaulters and connected persons from the resolution process. A sizeable proportion of the gross NPAs of the banking system are at various stages of resolution in National Company Law Tribunal(NCLT). To make other recovery mechanisms as well more effective, Securitisation and Reconstruction of Financial Assets and Enforcement ofSecurities Interest (SARFAESI)Act has been amended to provide for three months imprisonment in case borrower does not provide asset details, and for lender getting possession of mortgaged property with in 30 days, and six new Debts Recovery Tribunal (DRTs) have been established. As a result, NPAs of PSBs reduced by Rs. 2,61,359 crore over the last four and a half financial years. Further, PSBs reported record recovery of Rs. 60,713 crore in the first half of FY 2018-19 (H1 FY 2018-19), which is more than double the recovery made in the first half of FY 2017-18, and gross NPAs have begun declining with a reduction of Rs. 26,798 crore in H1 FY 2018-19. 30-day plus overdue account (Special Mention Accounts (SMA) 1 and 2) have also reduced steadily to around 39% over five quarters (from Rs 2.25 lakh crore in June 2017 to Rs. 0.87 lakh crore in September 2018 for PSBs), indicating significant and sustained reduction in risk of fresh NPAs. Thus, improvement in asset quality is evident with GNPAs having peaked recognition nearly over, and the amount in SMA 1 and 2 reducing by 61% over five quarters. Further, with substantial provisioning, the provisional coverage ratio (PCR)o SCBs has risen steadily to 67.17% as of September 2018, from the pre-AQR level of 49.3% in March 2015,cushioning bank balance-sheets to absorb the impact of NPAs.